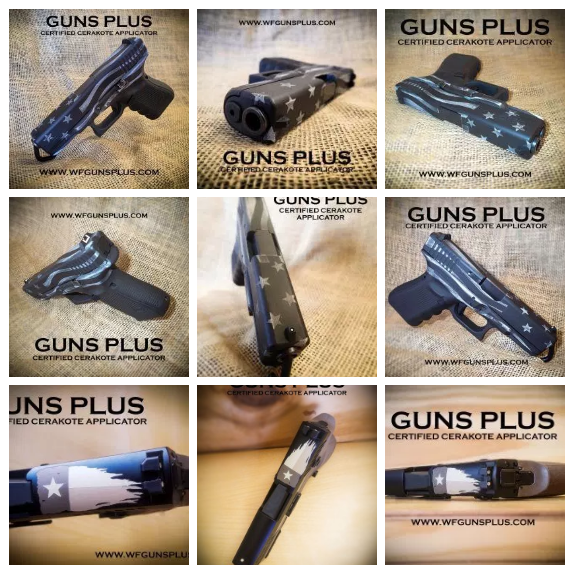 Welcome to Inspired Growth Portal’s first website review~ Today we will go over the website for the company Guns Plus, which focuses on Cerakote application and is located in Wichita Falls, Texas. 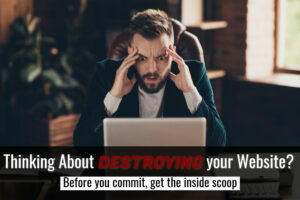 The primary advertising method for this company is word of mouth and the owner was wanting to improve the website in order to increase his opportunities and speed up the load time. The owner also mentioned problems with slow upload time, difficulty with SEO, and high cost for the website for low gain. If you’re interested in getting an honest review of your website, just let me know! For this video, I will be using my Website Review Checklist – which you can download for free. So let’s drink some coffee, sit back, and review the website for Guns Plus. The transcript of this video is provided below. The first column on the Website Checklist is Metrics, which are a great way to identify how well your site is operating. The owner of Guns Plus had selected a complex paid theme titled Avada and had placed a large amount of high-resolution images on it This combination resulted in a large page size and a load time of 7.5 seconds – according to Enable’s scan. There is little to no metadata on the site, which would impact how optimized the site is for search engines – also known as SEO. This website does not have Google Analytics enabled, instead it has a WordPress.com analytics plugin installed. Unfortunately, that plugin doesn’t track bounce rate, which is how often users open a website and then quickly leave it – all without interacting with the site. However, the plugin does track traffic and sources. 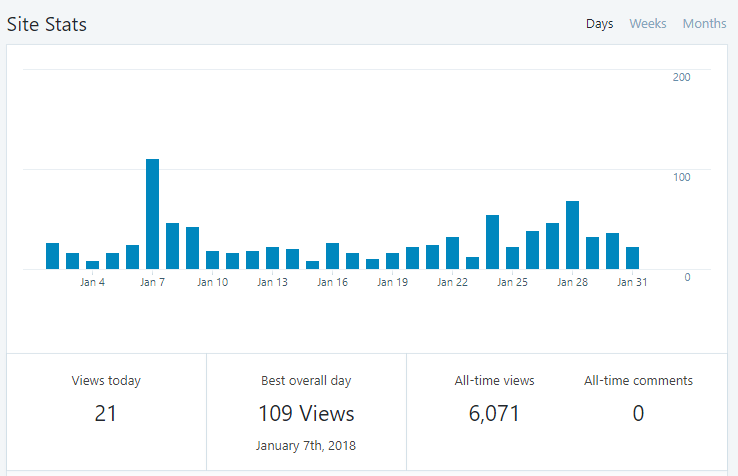 Since the website was created in March of 2016, there have been 5,940 views, with January of 2018 at the highest with 721 views. The primary sources for these views was advertising from Facebook and other Cerakote websites. Getting into visual appeal, the overall layout of the site is interesting. The logo and menu is at the top and each service that Guns Plus provides is located on sliders in the middle. This can be slightly distracting when scrolling quickly, but overall it isn’t bad. The images on the site are beautiful. They immediately inform the viewer of what the site and company are all about. The color scheme backs that up, being a gunmetal gray background with a white font for easy visibility. The font style changes several times throughout the page between serif and sans-serif fonts, which can be slightly distracting, but only if you’re looking for it. The segment of text at the bottom of the homepage really throws me off due to the italics. Sizing of the font is generally fine throughout the website, although I noticed that the page titled ‘Transfer Info’ had noticeably smaller text. Next up is content. This site is not very informative. If for some reason I were to arrive at this site without knowing much about guns, I would have no idea what Cerakote really is or how long the process even takes. 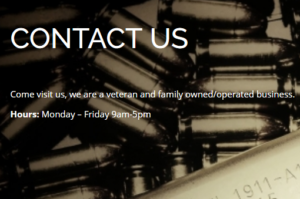 The site provided no information on who owns or works for Guns Plus, but they do provide a discount for military members! The language provided was effective and there was no obvious spelling or grammar errors. I didn’t feel very engaged with the site due to the lack of information and also noticed that there was no blog section. Last column up is functionality. 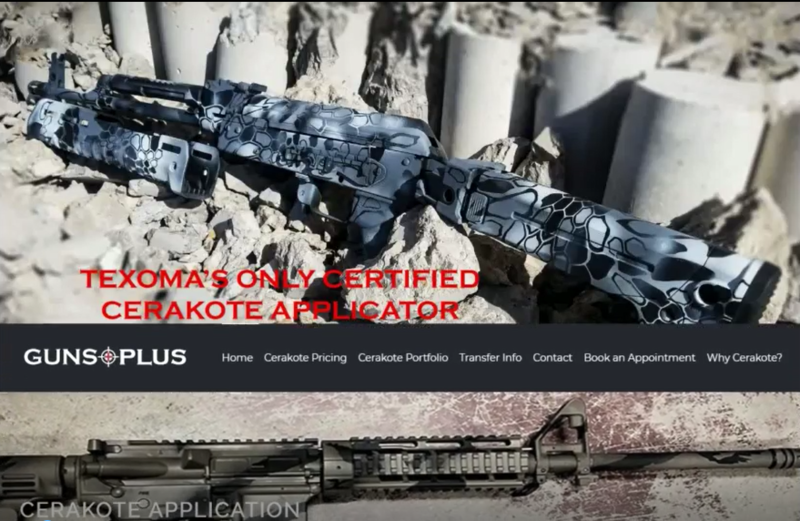 The Guns Plus website is generally intuitive, but there are several elements that didn’t make a lot of sense – such as when I clicked on the Cerakote Application slider, I expect it to inform me about the process of the application. Instead, it throws me into the Crerakote Portfolio page which displayed many pictures of finished guns. Operationally, this site could use some help. Several of the links go to pages that are under construction and had no expected finish date provided. There was only one social media site linked to the Guns Plus website. It’s still good though because that FaceBook site received a decent amount of traffic, and as mentioned above, provided links that were being used. 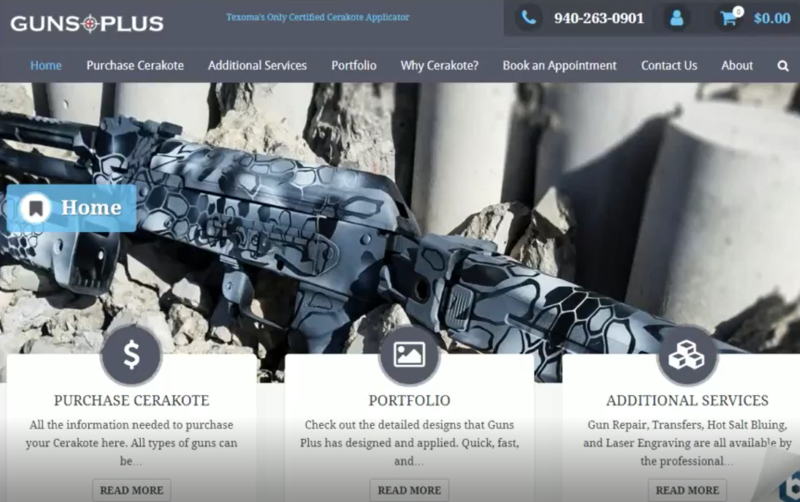 Speaking of links, it appeared that the only external link provided on the website goes to Cerakote Gun Coatings. While this makes sense, it would be beneficial to future readers for the website to provide additional external resources. To finish up the review, this site is not very responsive. It is best suited for operation on a computer, but when in tablet mode the menu links are difficult to read. But that’s still better than when viewed on a phone – the menu button failed to open up at all. After reviewing all of this information, but before the video, the owner of Guns Plus and I had a couple conversations. The owner mentioned that he ultimately wanted to open up sales nationwide, wanted to clearly display the finished products, and wanted to get some more text on the site. The owner also mentioned problems with slow upload time, difficulty with SEO, and the high cost for the website with low gain. I used XAMPP and Bitnami WordPress Module to develop a WordPress mock-up which might make the Guns Plus website more usable and intuitive – snagging several of the photos and all of the text on the original page to make it seem more realistic. The free theme used is titled Trusted. It provided the general framework for a WooCommerce plugin and has a clean setup. Other plugins activated were Google Analytics, Booking Calendar, Genesis Columns, Jetpack, WP Customer Reviews, WP Smush, and Yoast SEO. These plugins would provide additional functionality – most importantly, WP Smush, which will decrease the file size for each picture and increase page load speed. The site appears to be responsive in tablet and smart-phone sizes, but that will need to be tested once the site is operational. After I shared the above video with the owner of Guns Plus, we had a long discussion which covered the issues that I had pointed out and what he liked and didn’t like about the updated website. 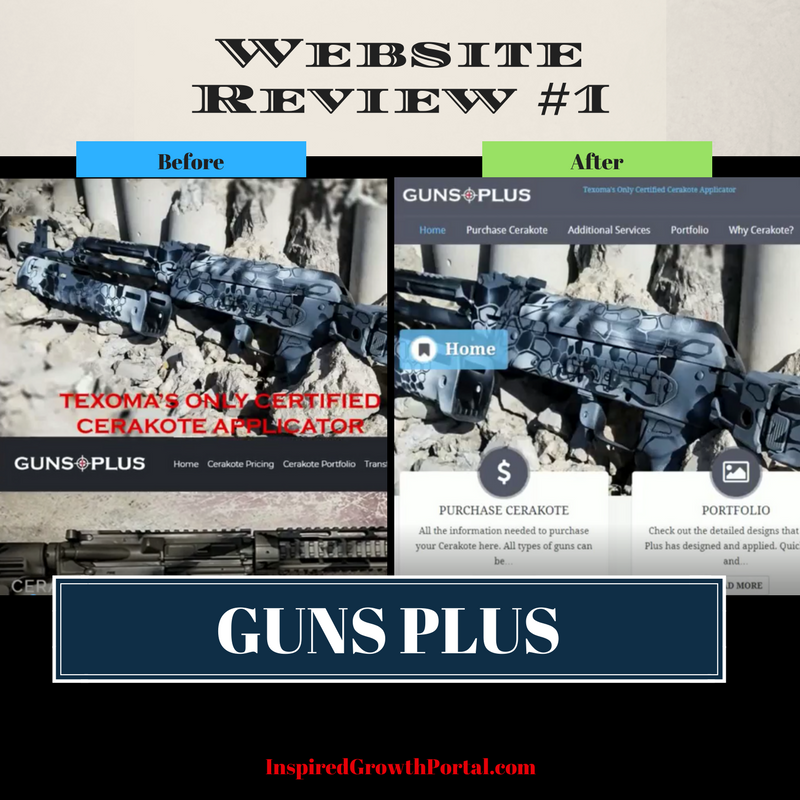 He had several excellent reasons as to why his site was set up in that style, and while there were several aspects of the updated site that he liked, ultimately it was decided that I would optimize and conduct minor edits to the current Guns Plus website. The owner agreed that I could share this review on my website. Again, if you’re interested in getting an honest review of your website, just let me know! Hopefully you enjoyed this review. Until next time! Previous: Previous post: Quick and Dirty: What Do I Need to Set Up My Website?